Nothing brings you closer to your audio than headphones. But which are the best for creating media? 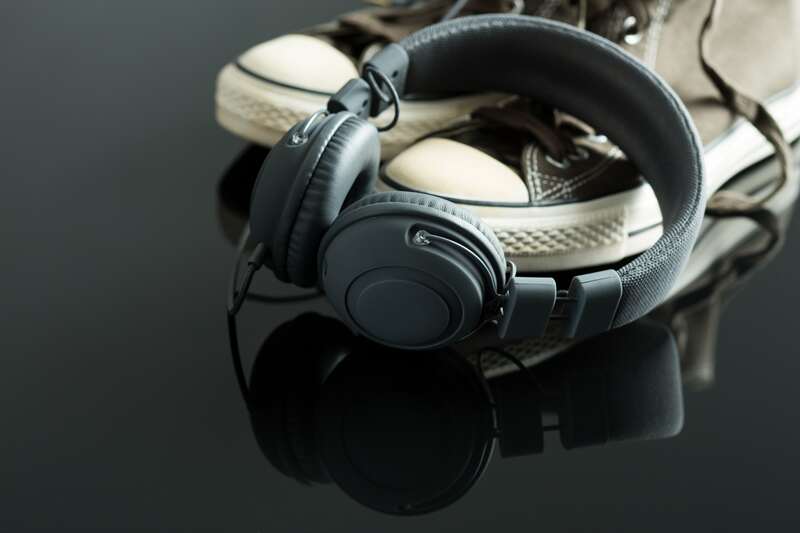 Tonight, Michael Kammes, Director of Technology for KeyCode Media, examines what’s out there and provides suggestions on how to pick the best headphones for you. Larry Jordan: In his current role as director of technology at Key Code Media, Michael Kammes consults on the latest in technology and best practices into the digital media communications space. He also has this wonderful love of workflows and codecs and process and all the rest of the stuff that makes our eyes glaze over. Hello Michael, welcome. Michael Kammes: Hi Larry, happy holidays. Larry Jordan: A happy holiday to you as well. Tonight we’re talking about audio gear and I wanted to chat with you about the debate between monitor speakers and headphones. Most people think they should use monitor speakers, but some people think they should use headphones, so let’s start with the bigger picture. When should you use monitor speakers, and when should you use headphones? Michael Kammes: I think you should be using speakers every waking minute, and I’ll put an asterisk next to that. I think you’re going to get more of a real world approximation especially if your desired end point is TV or a theater or somewhere where other people aren’t going to be listening on headphones. You want to recreate the end user listing experience as much as humanly possible, so that’s why I’m a big fan of speakers. Larry Jordan: Alright, well then does that mean we should never use headphones at all? Michael Kammes: No I think you should be using headphones to check your mix. I think speakers are the way to check how it sounds in a real world environment, and then use good headphones to check how the mix will sound to those people who are watching on the go. Larry Jordan: I want to talk more about how to pick the right headphones, but this brings up a question, when I edit on headphones, sometimes I’m hearing every possible mistake, and so here I am editing out pops and clicks that are easily visible on headphones that never show up on the speaker. Am I getting too obsessive here? Michael Kammes: I don’t think you’re getting too obsessive, but I think again we need to determine who your prospective audience is. For example your tutorials Larry. Are people going to be watching those on a mobile device, or are they going to be watching those on their desktop while they’re editing, so they can follow along? I think that versus someone who does a podcast which is designed for people on the go, in that case, yes you should be using headphones to emulate the end user experience. Larry Jordan: In other words, you’re suggesting headphones not necessarily for their accuracy, but so that our ears are hearing our mix the way the consumer’s going to consume it? Michael Kammes: Completely. And that’s what they do on let’s say feature film dub stages. They will mix on speakers that you commonly will find in a theater, that they traditionally have a pair of crappy speakers, more commonly they’re Auratones, that the mixers can switch to to then hear what it sounds like on old TVs or TVs who have built in tinny speakers, so they can see how their mix translates. Larry Jordan: What should we look for when we’re picking either speakers for mixing, or a headset for mixing? Michael Kammes: When you’re choosing speakers for mixing, it should have a flat EQ response, so not favor the low lows or the high highs. It should also emulate the speakers that the end users are listening on, which goes back to our previous discussion which was if you are doing something like a podcast where people are listening on their headphones, then use headphones that have a flat response. We also want to make sure that they don’t have noise cancellation, or anything else that may color the sound. Larry Jordan: By flat response, you mean that it’s not boosting the bass or not boosting the treble? Michael Kammes: That’s correct. You want something that will more faithfully recreate what the director and what the sound engineers had in mind when they crafted the project. Larry Jordan: Is there a difference between the headsets that we use for mixing our audio, versus consuming our audio? Michael Kammes: Completely. When you’re mixing audio, if you do opt to use headphones, you want something that is flat. So you’re EQing and mixing on an even playing field so to speak. Whereas the end consumer can certainly decide to get something that colors their sound, but traditionally that’s frowned upon via mixers because they want you to hear their vision of how things should have been done. Larry Jordan: Yes, but as I learned long ago in producing shows for TV, how the consumer adjusts their TV set, I’ve got no control over. I just want to make sure it leaves here looking good. Michael Kammes: That’s a good point, and that’s one reason why a lot of mixers will also have old tinny speakers sitting up on their console, so when they finish a mix, they can toggle to those speakers, commonly they’re Auratones, to see how the dialog sounds to make sure that the most important portions of the mix still cut through. Larry Jordan: So when we’re picking a headset for mixing, what should we look for? What key specs? Michael Kammes: The slang is usually 20 to 20. 20 hertz to 20 kilohertz. You seriously want to avoid noise cancelling headphones because that tends to color a sound feel that you’re getting. You want to stay away from ear buds because ear buds go further in your ear. They’re usually louder and they don’t recreate what the mixers intended. Those are probably the three main things you want to focus on. Larry Jordan: Would you choose a different headset for a different project, or would you use the same headset against all projects? Michael Kammes: I’d use them across all projects, because any experienced mixer will get accustomed to mixing on different speakers or different headphones and how the sound may be colored. So the more you stay with one set, the more you can get trained on that set, to how things are recreated. Larry Jordan: Are there brands of headsets that you like, or models? Michael Kammes: Yes, there’s two that are great. The Sony MDR 7506s, are my go to headphones. Those are about 80 bucks, so they won’t break the bank. Another popular one among mixers are the Sennheiser HD25s. Those are a little bit more expensive, about 130 bucks, but they have a stylish carrying case which makes travelling over the holidays great. The one set I would avoid though, are the very popular Beats by Dre. While they look stylish and they’ll certainly cost a good amount, they color the sound something fierce and I can’t recommend mixing on them. Larry Jordan: Michael, before we leave, why don’t you give the traditional warning about keeping our volumes under control? Michael Kammes: You know, this is something that I always thought was, you know, if you’re too loud, you’re too old. But as I get older, I’ve realized that if I use headphones too loud for too long, I will get a ringing in my ear and luckily it goes away, but it’s something that studies have shown that 25 to 30 percent of the listening audience is losing their hearing compared to the 80s and 90s. So it’s very crucial that if you are mixing and you are using headphones, keep it under 85db which is kind of a subway train volume. Don’t go any higher than that for long periods of time or you may risk tinnitus. Larry Jordan: How do you measure the volume of the headset? Michael Kammes: That’s a really good question. I have a trusty Radio Shack decibel meter that I traditionally measure my speakers with, and also measure my headphones with before I start any session. So I can ensure I’m at a standard level. Larry Jordan: One last question. For someone who’s getting ready to start building a mixing studio, do they invest in speakers, or do they invest in a headset? Michael Kammes: Coming from a TV and film background, I’d always recommend speakers because that’s where most people will listen to. But if you’re starting your career off and you’re primarily doing podcasts, then it probably makes more sense to get a decent pair of headphones. Larry Jordan: Michael, for people who want to keep track of what you’re doing and thinking, where can they go on the web? Michael Kammes: Two places. michaelkammes.com or 5thingsseries.com. Larry Jordan: That is a long phrase, the number 5thingsseries.com and Michael Kammes is the host of 5things. Michael, thanks for joining us today. Michael Kammes: Have a great holiday Larry, thank you.